6 song review – Life as a photographer and loving this new life! 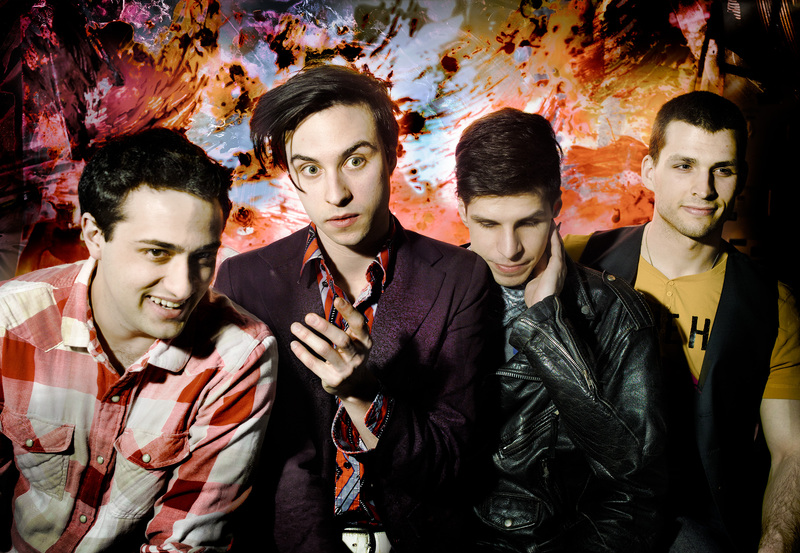 In the fall of 2010, The Ruby Spirit released their debut record Born Under a Veil to a crowd of 500 eager fans at The Great Hall in Toronto. Since then the band has garnered a flurry of glowing reviews from independent blogs and printed newspapers for their ambitious and breakthrough brand of alternative pop. There are no signs of looking back. This stellar EP was produced and mixed by Tony Malone and mastered by Joao Carvalho in various studios in Toronto ON. My first impressions of this EP: a lot of focused energy, dramatic music and fanciful lyrics in all 6 songs that are interesting and well written. The members of the band are: Paige Boy (vocals), Alex Pulec (guitar and vocals), Mickey Donnell (bass), Jay Cipparrone (drums and percussion) and Juliana Eye (piano, organs, synth and vocals). This is a band that has a dramatic flair in their costumes and actions onstage which gives the music a “theatrical” feel to it (think “Cabaret”). “Tin Can Bees” is the opening song which has an odd time signature and count but it works well with the melody and lyrical arrangement. Fuzzed out guitars, operatic vocals and samba drums are the backbone to this song. This song is based in emotions that speak of “we hate where we live but love the view”. “Sound of the Bell” has a bit of an evil feel to it but at the same time, it has a fun feel to it, musically speaking. Lyrically, it speaks of being free, having the touch, and about having nothing to fear. It does have an uneven time signature but it works with the melody. The vocals are done very well by blending in with the music and setting the pace of the song in general. “Ruby Dog” is for this writer the standout song on the EP. The piano and synths have an “Eddie Munster” campy kind of feel to it. The bass line and drums work well in the song giving it a great backbone to work off. Lyrically it’s about a dog that is lost and found again by his/her owner after spending a few days roaming the streets. “From You It’s True” has a classic rock feel to it. This song has a slower time signature, a whimsical melody and great vocals. The lyrics are about not asking questions because you won’t get an answer anytime soon, if ever. “Fix and Repair” is a stream-of-consciousness type of song. It’s fast paced with a slow break in the middle. In some parts of this song, there is a Spanish feel to the lyrics which flavors the music in a good way. The final song “Caligari” has a jazzy time signature to it but also has a rock feel to it as well. The vocals are delivered in a very good way with emotion and feeling. Lyrically, this could be about anyone pondering the meaning of fame, money, evil intentions and the like. Overall, this is a very good debut EP that has well crafted songs, interesting music and has a classic rock/theatrical vibe to it. The Ruby Spirit are starting life in a good place. The band is playing a show this evening Saturday June 25 at the famed El Mocambo with special guest Jumpie. You should check out the band as I’m sure you will not be disappointed. EP cover for DRAMA. Photo courtesy of the artist. This is no April Fool’s Day joke. 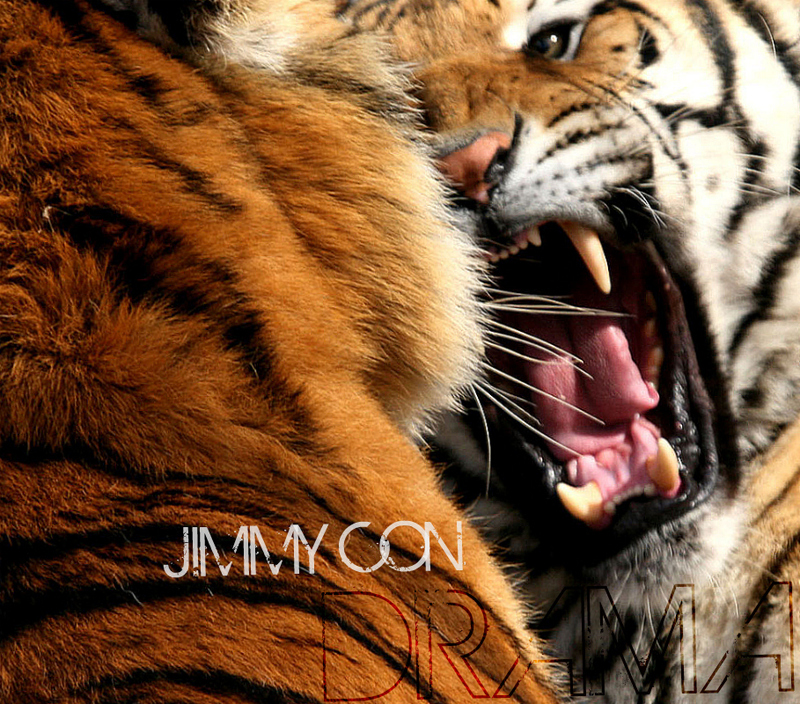 Jimmy Con of Chicago’s Ghosthouse has released his new EP Drama. Electronic trance music with some fantastic beats. Vocals that are toned out to emphasize the beats of the music. Classic beats done in the ’80’s old school DJ style with some samples. I can totally envision a crowded club dance floor with the people dancing up a storm, arms in the air. Jimmy also has Ear Candy Chicago (Crystal Bishop) helping him to reach his vision in becoming a big name artist. The future is going to be bright for Jimmy Con me thinks. On first listen, what stands out in the big picture of this EP is the timing of the beats and vocals within the melody of the songs themselves. And how well the echo, effects and layering of the songs are – well built, solid and kicking it. Starting out with “Drama” this is one cool and classically built song. Structured well with great timing, it just flies out of the speaker at you. This song is a favorite in my collection as of right now. I like the beginning of the song, soft shouting in the background with great effects and how it kind of sounds like cleansing water flowing over you. It has a positive, upbeat vibe to it that is consistent throughout the song. “Fly Away” has more of a sonic feel to it much like the movie “Trainspotting” had. Fast moving beats and effects all melding into one fusion song that moves like a train going mach one. This song does have some lyrical structure as well that is light and fun which matches the mood of the song. “Heat of the Night” has a deep bass beat as the backbone to this track. With good timing and rhythm within the song, lyrics fit the bill perfectly and that’s what the song calls for. Jimmy’s instincts in what plays good for the song will serve him well in the future. The fourth track “White Tiger” is this writer’s favorite song. This track starts out with spacey, trippy trance beats and effects with a soft crowd clap in the background. The beats rise above that chaotic sound into a psychedelia trance beat that makes you want to get up and shimmy around your living room or office. Good drum beat effects punctuate in the right areas of the song which again shows good instincts with what sounds best for the song. “Yjodaly” sounds like it’s from another planet for some reason. I guess the vibe of this song brings that vision in my head. I can imagine a space shuttle-like trip with this music as the background music – “spinning on the vintage side” and “you’re alive” – makes sense to me. The vocals are done well and fit the song perfectly. The final song “You’ll Never Know (Pyrofighter Remix)” is straight up dreamy beats, minor tones and layers of happy dance melodies and gets spaced out which makes for a nice break towards the end of the track. The download of Drama will be available for FREE until Monday April 4. You can get it here.